The survival and steady increase of mountain gorilla population is a true success story in the Virunga conservation area. 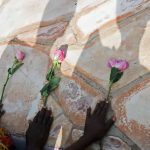 The world has seen the number of the once critically endangered mountain gorillas grow higher day by day which gives hope for sustainable gorilla tourism. Volcanoes national park is one of the four African parks to visit and see mountain gorillas. Gorilla tourism in volcanoes national park started from the time of Dian Fossey an American primatologist who sacrificed her life to save gorillas that were at the verge of extinction. Today, the world has roughly 1000 mountain gorillas that live in Uganda’s Bwindi impenetrable forest national park and the Virunga conservation area shared by Volcanoes, Virunga and Mgahinga gorilla national parks in Rwanda Congo and Uganda respectively. Mountain gorillas are herbivorous creatures, which feed on vegetation, fruits, shoots, leaves, and flowers. Over time, mountain gorillas in volcanoes national park have been seen escaping from the park to raid local people’s gardens especially eucalyptus and bamboos. This has raised complaints from local people causing human-wildlife conflicts. However, thanks to Rwanda Development Board who always comes in to intervene compensating local people for the losses. 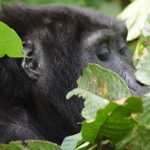 Most people especially park management, gorilla doctors and nutritionists, were concerned to find out why mountain gorillas escape the park despite plenty of food there. A survey was conducted to find out what gorillas loo for and was finally discovered. Guess what! Mountain gorillas escape looking for food rich in sodium fix. 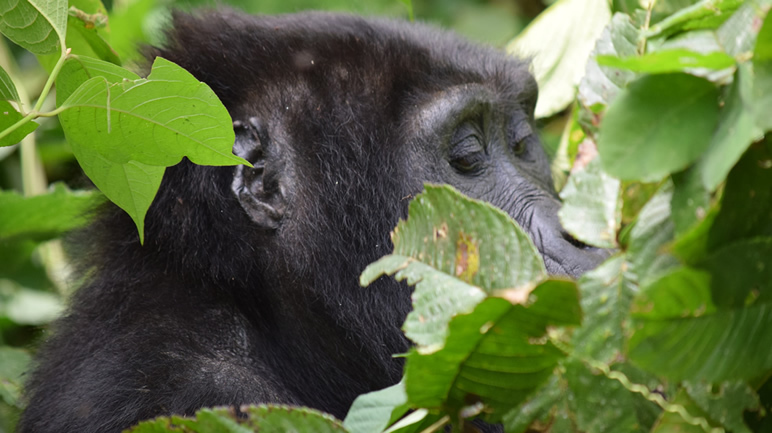 It was realized that after escaping from the park, mountain gorillas go straight o look for eucalyptus which is more than 100 times richer in sodium compared to other vegetation gorillas feed on in the park. All plants in the park especially bamboo (the staple food for gorillas) have low sodium content which keeps gorillas hungry for food rich in sodium. Other few plants with sodium content grow on the peaks of the Virunga volcanoes difficult for gorillas to reach hence a challenge. Mountain gorillas are a close relative to human beings sharing over 90% of human genes. Mountain gorillas are a subspecies of the eastern gorillas, which live I the jungles of Bwindi forest and the Virunga conservation area. They are one of the endangered species listed by UNESCO due to their limited habitats. Thanks to the conservation strategies including daily monitoring, protection, veterinary interventions, and coordinated ecotourism, which together have enabled the survival of mountain gorillas despite the many threats. The human-like characters of mountain gorillas help people recognize the evolution of human beings and behaviors. In terms of conservation, mountain gorillas help to disperse seeds and fruits from one place to another, which help to maintain and conserve the ecosystem. 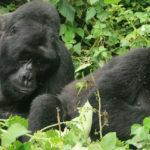 Regarding tourism, mountain gorillas are a major tourist attraction in Rwanda and Uganda. 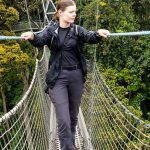 Each day, thousands of travelers flock into the jungles of Volcanoes National Park to track and see mountain gorillas an experience that lasts for a lifetime. A singe gorilla permit in Rwanda costs $1500 hence contributing over 50% of the country’s gross s domestic product. 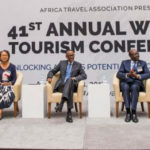 Gorilla tourism alone has earned Rwanda economy over US$400 which money is used to support various developments in Rwanda. 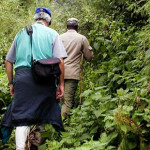 Gorilla trekking is a major tourism activity in Volcanoes national park. It’s undeniable that over 90% of travelers to Rwanda choose to visit mountain gorillas and be part of this once in lifetime experience. The park has 10 mountain gorilla families habituated for trekking hence 80 Rwanda gorilla permits issued out every day. 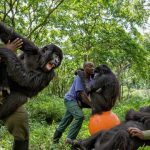 Since 2017, Rwanda upgraded to a luxury gorilla tour destination following an increase of gorilla permit price from $750 to $1500 paid by all travelers regardless of one’s nationality. Habituated gorilla families in Rwanda include Agashya gorilla family, Susa A family, Bwenge family, Susa B family, Amahoro family, Hirwa family, Kwitonda family, Umubano family, Sabyinyo family and karisimbi family. Eight people visit a gorilla family for an hour but the experience is worth doing. 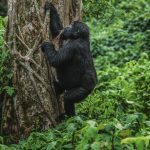 Gorilla permits in Rwanda can be booked directly with Rwanda Tourism Board, a government body responsible for tourism and wildlife conservation in the Land of a thousand hills. 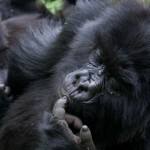 Alternatively, you can book through Gorilla Trek Africa, one of the trusted tour operators in Rwanda and Uganda. Travelers are also advised to book roughly 6 months prior to the trekking date to secure permits and allow timely planning. In general, mountain gorillas are one of the incredible creatures surviving in the world. Meeting face to face with a silverback is an incredible experience that lasts for a lifetime. Book a Rwanda gorilla safari to volcanoes national park, spend time with gorillas and enjoy this lifetime experience.